If you’re looking for your first, or next pair of CrossFit shoes, you’re certainly in the right place. Keep on reading for all the details you need to know before making your choice. And of course what our top picks are for the best shoes for CrossFit. Nike, Reebok, Nobull, Asics and even Brooks have joined the CrossFit shoe market. 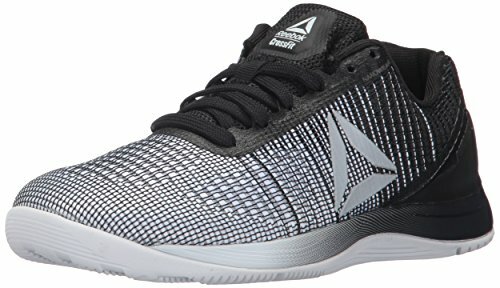 If you are looking for a CrossFit shoe, the first thing that you need to do is look at the pros and cons of a particular shoe. Keep in mind that every shoe has a different construction. You may find some of these designs helpful in some scenarios while some features only hinder specific movements. What are the Best-Selling CrossFit Shoes? It is surprising the difference the right pair of shoes can make in your performance, and this is certainly true for CrossFit. In a sport which is constantly pushing you to bet a personal record during a serious workout, the last thing you need is a pair of shoes that are holding you back. 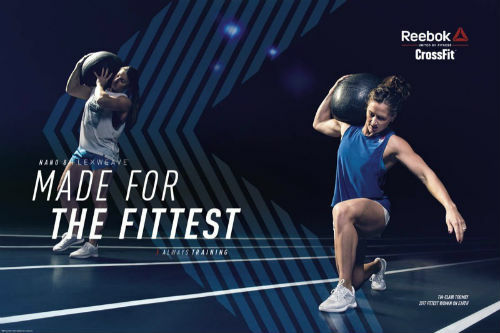 Whether you are new to the sport or simply want to make it through a workout without your feet killing you, the information continued in this guide will make it easy for you to choose the right shoes for CrossFit. Here’s what you should be looking for in the best CrossFit shoes. 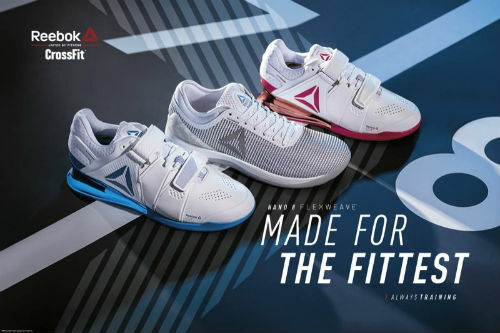 If you choose your footwear solely based on these three aspects you will be able to find supportive CrossFit shoes that will help you improve your performance during your workouts. 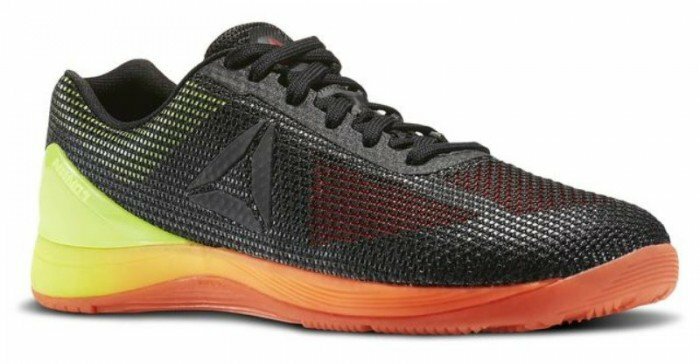 A good example of a CrossFit shoe with a hard, stiff sole is the Nano 7.0 from Reebok. 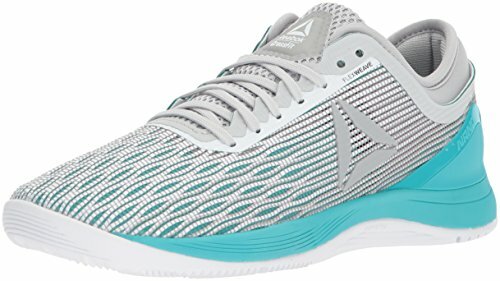 While we’ll not necessarily say this is the best athletic shoe, it does have some of the features that are important if you want to be successful at the sport. A shoe’s “drop” refers to the height difference between the heel and forefoot. This measured difference will affect how the shoe feels and performs, and the best CrossFit reviews suggest choosing a pair with a minimal drop in height between the front and back of the shoe. It is not uncommon to find athletic and running shoes with a 15+mm heel drop, and while the thick cushioning is ideal for comfort it can affect mobility. 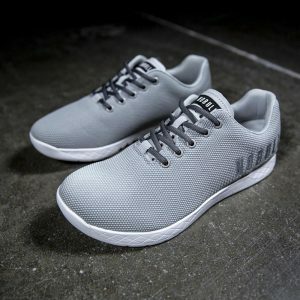 If you need the supportive padding due to weak ankles but want the lightweight mobility of a minimal drop, the best CrossFit shoes for you might be ones with a 6mm differential. This will still give you the support your ankles need while still providing plenty of mobility, which is perfect for when your workouts call for sets of sprints. During CrossFit workouts torque is created which can cause your weight to shift. Your knees are often bent, and the majority of your weight is supported by your heel. To prevent your ankles from turning and other potentially painful injuries it is important to find a pair of CrossFit shoes that come with plenty of lateral support. You will want to look for athletic footwear that has a wire or “cage” type design in the center of the shoe that will keep your feet securely on the soles, and not pushing out over the sides. Let’s start off with the material of the shoe. There are some manufacturers that go for a rubber cage construction on their shoe. This allows the user to have stability, especially when going for lifts and activities that could do minor to major damage to the body. However, there are some cons when you make use of a CrossFit shoe that is made of a rubber cage. For this scenario, you have the mesh fabric. A softer material that can instantly go with the form of your foot to any activity that you do, this material offers little support but great comfort. While not the main consideration, this is certainly something to consider. Workout shoes range the gamut from very plain black or white shoes to some of the most stylish ones around that you could wear around town, day or night and not look out of place. What’s your preference? This is really the only important thing in this regard and it really is just a matter of personal preference as to what you prefer. Some people are willing to spend a lot of money on CrossFit shoes. That’s good because there are certainly shoes that are close to $200! They are top-quality, comfortable and durable sneakers to say the least. Plus they look great too. However, if you’re on a budget, then you’ll probably just want a pair of shoes that fit well, prevent injuries, and are comfortable to wear. Of course, they should also be durable because if you spend a hundred bucks but your shoes only last a couple months, it’s not actually a great deal. The very expensive shoes are usually the ones that are designed specifically for CrossFit. 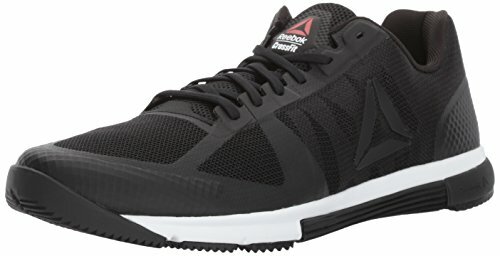 If you want to save a bit of money, try picking up a pair of general crosstrainers that are sometimes half the price of these CrossFit shoes. They may not look at cool, but they’ll get the job done most certainly! 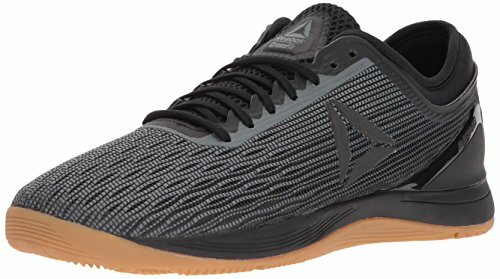 Specialized CrossFit Shoes: Reebok makes some amazing shoes for CrossFitters, from their Nano 8.0, to the pump to the speed. They seem to do a bit of everything! Running, jumping, lifting, climbing: no problem with these things. Minimalist Shoes: If you’re looking for some barefoot shoes, or Chuck Taylors for your workouts, then you’ll be in some good company. Lots of people use these kinds of shoes for their workouts. They’re usually designed for running, but the minimal differential means they’re good for lifting as well. Weightlifting Shoes: If your workouts are heavy on the weightlifting, then you’ll want to consider some heavier, sturdier shoes that can offer some serious stability. The strap keeps your feet locked in place. And the minimal drop means you’ll be achieving your personal bests. Cross Training Shoes: If you want to save a bit of cash, just use the cross training shoes you probably already have in your closet. Lots of people do it, especially when they’re just starting out. Be careful though, they should offer some good support to prevent injuries. Crossfit workouts are extremely varied. You’ll need a shoe that can do a bit of everything, and this usually means a cross-trainer. 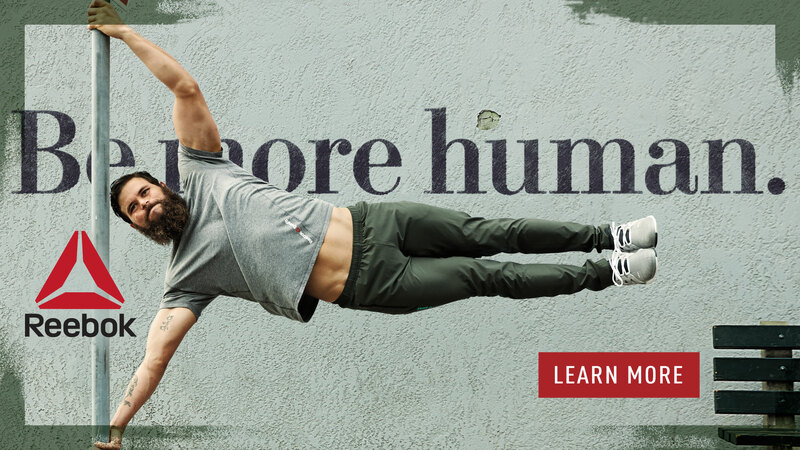 CrossFit is a demanding sport that requires constant movement, which means you need to find a pair of athletic shoes that are durable, have a sturdy structure, and are breathable. Here are a few tips to help you get an idea of what to look for in a new pair of CrossFit shoes so you can be assured you are getting the best value for your money. At some point during your workouts you will find yourself having to do rope climbs, which is one of the reasons why structure is an important feature to look for in a pair of CrossFit shoes. You want to find footwear that has some texture on the sides, and Nike has come out with some that feature tiny rough nubs. The shoes also need to be durable and protective, especially during a double-under. Rubber, nylon or even vinyl uppers will provide you with the lightweight protection you need. You want your CrossFit shoes to be a good value for your money, which means you want the pair you choose to last for more than a couple of workouts. 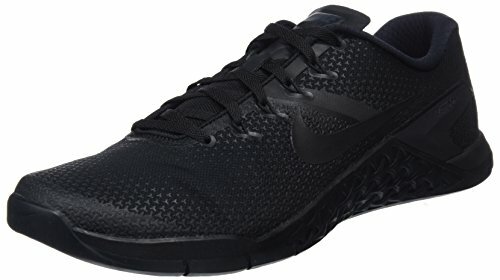 The Nike Metcon has a rubber outer sole that is durable and designed to withstand even the most strenuous workout. Other features to consider ensuring the shoes will last include rope guards on the instep and Kevlar added to protect the uppers. Individual manufacturers will use different materials to add strength and prolong the life of the shoes, and the right ones for you will often depend on the type of workouts you frequently do. It is important to remember that you won’t always be doing CrossFit workouts indoors, and weather is something that you will want to consider. If you frequently find yourself running through the snow during a “Helen” WOD you want to choose a shoe that is still lightweight, but has plenty of traction. However, if the weather is usually hot where you live, then breathability is important for comfort and your health. If your feet overheat it could affect the rest of your body, resulting in heat stroke or other serious complications. Look for CrossFit shoes that come with mesh liners and uppers to prevent moisture and sweat from soaking your feet, and to allow plenty of cooling air flow. Sometimes it is worth it in the long run to spend a little more, and this is certainly true when you are buying a pair of shoes for CrossFit. 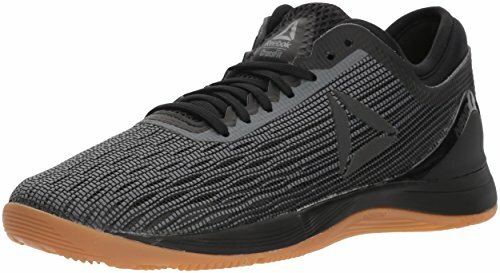 Some of the best CrossFit shoes like the Nano 7.0 from Reebok or Intensity 2 from ASICS might be priced slightly higher but the long lasting construction and comfortable design make it worth your money in the long run. There is also no denying that you get a boost of confidence during your workouts when you are wearing a pair of high quality shoes. We simply can’t say enough about support. Shoes that are supportive are more comfortable, and better able to prevent injuries. Having plenty of support can also improve your overall performance during your workout or when you are competing against other athletes. In general most minimalist shoes are able to provide some support, but athletes with ankle or foot problems might want to choose a slightly heavier pair that is designed for running. While minimalist shoes have moderate to little support, this type of footwear is sturdy and lightweight. You also have the advantage of the flexible design, along with the shoes’ versatility. One pair of minimalist shoes to consider is the Nano series, which offer slightly more support than other brands. If you prefer workouts that come with plenty of sprints and 2 mile runs you will probably want a minimalist shoe. If you are new to the sport than look for one with a 3+ differential, while experienced joggers might one a pair with a true minimalist design. Shoes with higher height differential are also ideal for strength training, especially calf and leg muscles.Weight lifters will want shoes with a higher lift ratio so they get an extra boost during squats and other exercises. Some Olympic style footwear has almost no differential, but this can be impractical for wear during other workouts. In most cases a 4-6mm height ratio between the toe and heel will provide you with the added lift you need, while still being versatile enough to be worn through rope climbs, jogs and even up on rope climbs.Knowing what type of workout you need the shoes for can help narrow down your options so you can easily might the right decision. If you are purchasing the athletic shoes in a brick and mortar store, it is easier to ensure you picked the right size. When you are ordering online you don’t have the advantage of trying the shoes on first, which is why it is important to take a few seconds and measure both of your feet. You can either use a measurer at a local shoe store or do it yourself at home. Simply trace a precise outline of your feet and measure the length and width to find your exact size. It is also a good idea to read customer reviews to see if there are any complaints about the shoes not running true to size. What are the Best CrossFit Shoes Today? Okay, so let’s get to what you really want to know: what are the best CrossFit shoes? The ones that you’ll find everyone at your CrossFit box wearing. Or, the ones that your favourite trainer will recommend to you. As we’ve already mentioned, you can find everything from minimal, barefoot running shoes to weightlifting shoes at your local gym. If you’re into sprints or cardio, then running shoes may do well for you. However, if you’re into workouts heavy on the weight, then you may want to go with a dedicated lifting shoe for the best results. That said, most people use cross-trainers, or a dedicated CrossFit shoe like the Nike Metcon 4, Reebok Nano Grace, or the Reebok Nano Speed. NoBull, Recon 5.11 and the Puma Tazon line are also becoming increasingly popular. You can check out out top picks below. 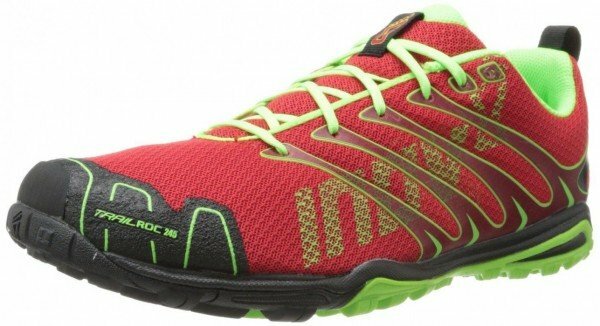 Are you looking for your first (or next) pair of training shoes? You’ll need to check out our top recommendations first. You can find all of our top picks here: What are Best CrossFit Shoes for Men? 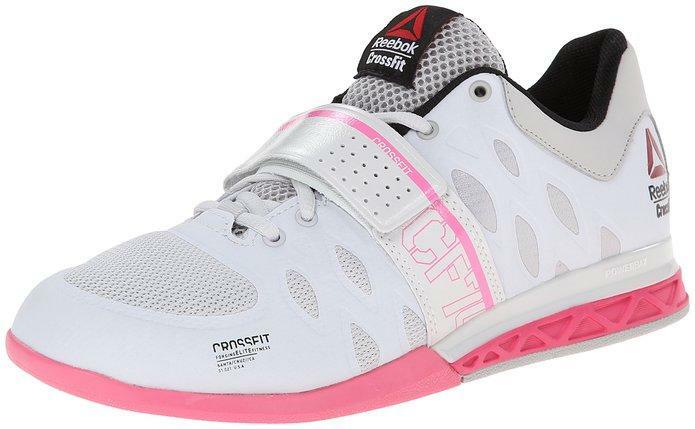 Want to see the whole list of the Crossfit shoes we recommend for women? 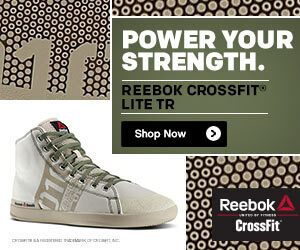 You can check it out here: What are the Top CrossFit Shoes for Women? The market of CrossFit shoes is now diverse. New products come out almost every month. You have to keep in mind though that there is no perfect CrossFit shoe. There are some shoes that are perfect for certain movements, but you have to understand that you can’t have a shoe that does everything. 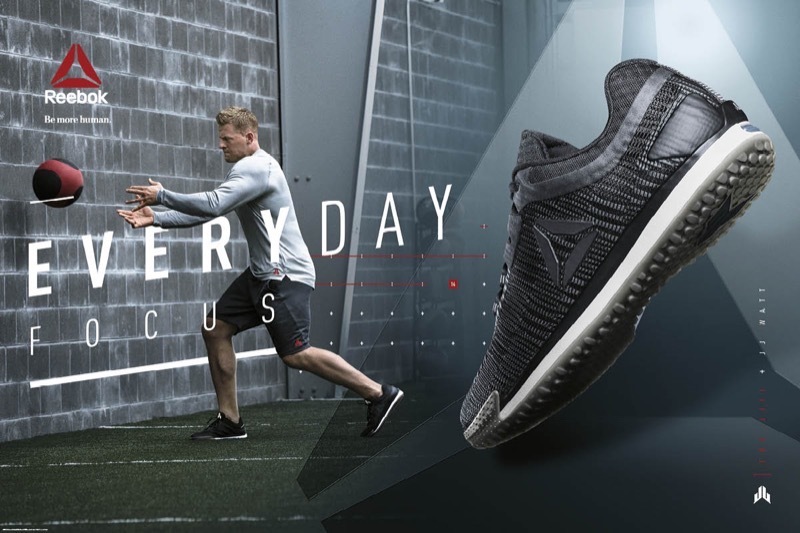 For those who are going to invest in footwear specific for CrossFit, you need to always make sure that you do not have unrealistic expectations from the shoe brand that you are going to buy. You have to understand that every shoe will have its own set of strengths and weaknesses. Questions, Comments or Recommendations for Us? Do you have any questions about CrossFit shoes? Or about CrossFit in general. Please contact us here and we’ll do out best to help you out.